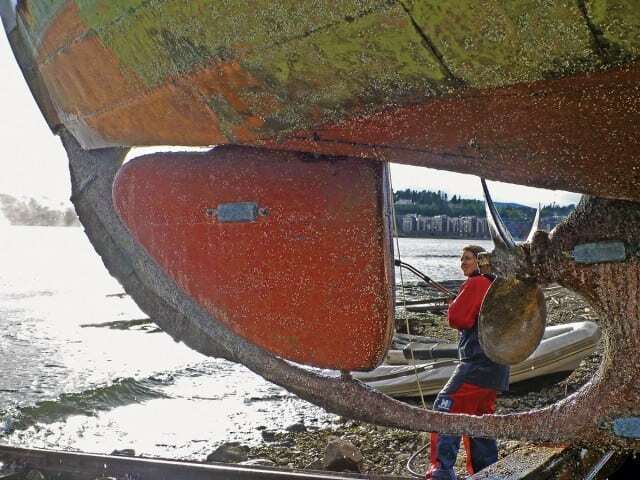 “Great floods have flown from simple sources,” said William Shakespeare, which is a fitting opening for the subject of the potential negative effects of corrosion aboard your boat and the possibility of big troubles because of it. How big? Great floods, indeed. Here are a few facts. Steering clear of any chemistry lesson, electrolysis involves only one metal and a major change occurring in an electrolyte with chemical properties that make it capable of conducting an electrical current. 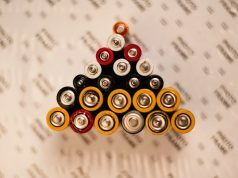 A good example is when a lead-acid battery discharges and produces a significant alteration in the concentration of the battery acid. So when one of my dock mates called me on the VHF asking for a tow, he was wrong when he stated, “Electrolysis caused that blade on my prop to weaken and finally break off.” No, shipmates, his problem was most likely brought about by galvanic corrosion or, in part and sometimes in collusion with, its equally evil relative, stray current. With galvanic corrosion the deterioration occurs between the dissimilar metals as they react while immersed in salt water. This is caused by the current—the movement of an electric charge—that flows between the two, each acting as anode or cathode, depending on its place on the galvanic chart of metals in sea water, and as a result of either being physically or electrically connected. The long and short of it here is not so much with the why of the process but more of preventing the result. For example, my buddy’s bronze propeller blade gave up more of itself, corroded as it were, and also the stainless steel shaft it was attached to because it is a less noble (or more reactive) metal than that of the shaft’s material. While the effects of galvanic corrosion will more than likely occur over a protracted period of time, the serious effects of stray current can be seen in as little as several days. 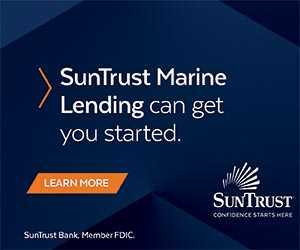 Should you have, for example, some faulty wiring lying in the bilge or a damaged float switch sending current into the water—or the same condition existing on another vessel in your marina—or even issues from the dockside shore power, regardless of whether you have a galvanic isolator in use, your boat is in serious danger. 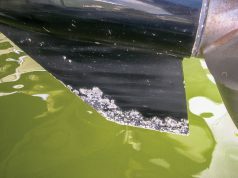 A shaft, rudders, props, outdrives, lower units, and bronze through-hull fittings are all at risk. 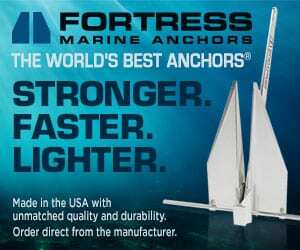 If you even suspect this may be the case, and unless you are an ABYC certified marine electrician, the best advice is to take a big step back and get the experts in posthaste. (abycinc.org/educationprograms/certificationDirSearch.cfm). If you run a stern drive or outboard boat, use aluminum protection. It’s best to check with your manufacturer for any special needs. In addition, with inboard engines, always make sure to check your pencil zincs twice a year. The size of the anode is a function of how many square feet of metal are being protected, and if you are re-zincing make sure you confer with your yard or marina service manager. “Except for a few situations, you cannot over-protect your boat,” Olsen advises. He adds that boat owners should feel free to collar their boat shafts as well, as long as the boat is properly bonded. As always, call in the right technician to have a look if questions arise. Making sure your boat’s metal fittings are properly protected against both galvanic and stray current corrosion is one of the most important preventive maintenance regimens aboard your boat.